The Lady Raiders traveled to Florida International to take on the Panthers at Lime Court. 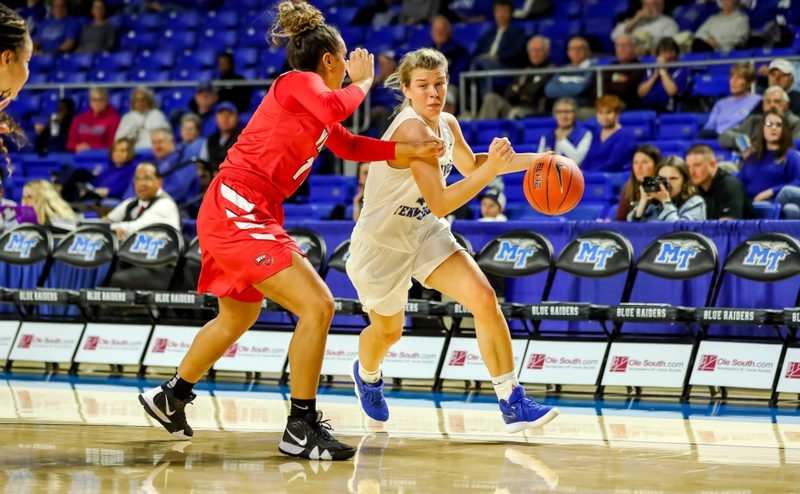 MTSU had a very efficient night offensively while playing tough defense to overpower the Panthers, 88-53. Abbey Sissom, Ty Petty, and Rebecca Reuter all notched double-digit outings, but it was Alex Johnson who led the team in scoring with 32 points. Petty had a huge night distributing the rock, racking up 11 assists. Gabby Lyons also had a good performance defensively as she contributed to four blocks for MT. 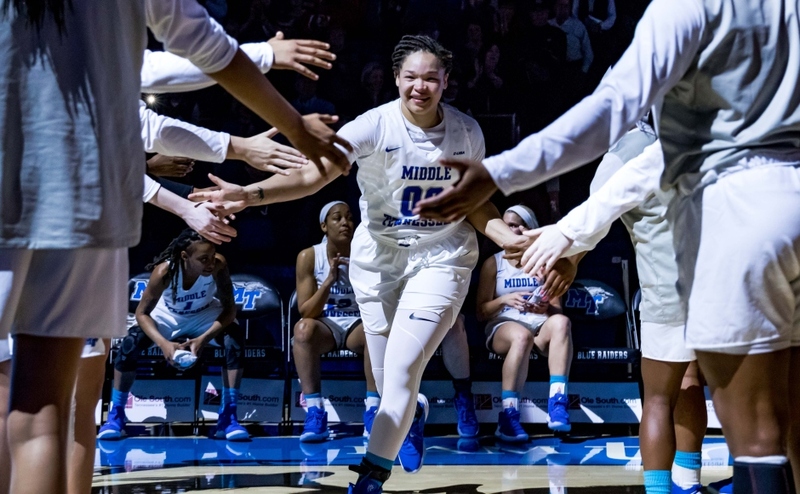 As a team, Middle Tennessee shot 46 percent (10-of-22) from deep and 59 percent (34-of-58) from the field. The Lady Raiders caught fire from behind the arc in the first half. The Panthers scored the first bucket of the game, which also happened to be their only lead of the night. 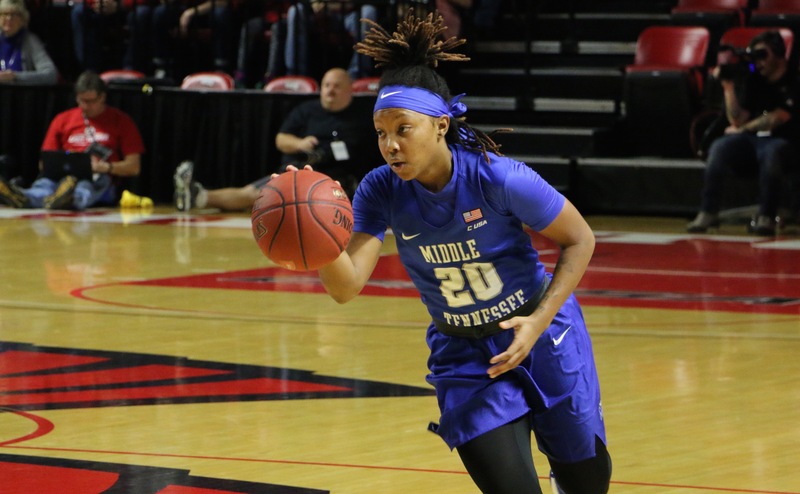 The Lady Raiders hit three consecutive bombs from behind the three-point line to give MT a double-digit lead within the first five minutes of play. Sissom connected on five three-pointers on the day while Jess Louro hit two of her own. The duo gave MT a massive boost to dominate the first half 53-21. 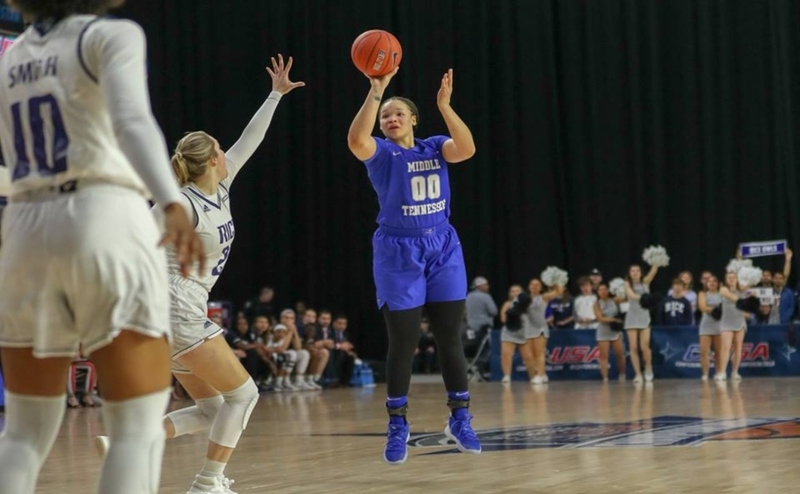 Johnson has been the driving force for the Lady Raiders all season and against the Panthers, she cracked 30 points for the fourth time this season. Her presence was felt in the paint all night as she shot very efficient (14-of-19). Johnson also tallied three assists to go along with her massive scoring outburst. Reuter had another productive night against the Panthers. She posted 12 points and made it to the charity stripe for six attempts, knocking down five. Reuter’s scoring had taken a hit for a stretch of games, but her production has elevated over the last five outings. In those last five appearances, she’s averaged 11.4 points per game, while in her five games prior to the stretch, she was only averaging 3.2 points per game. 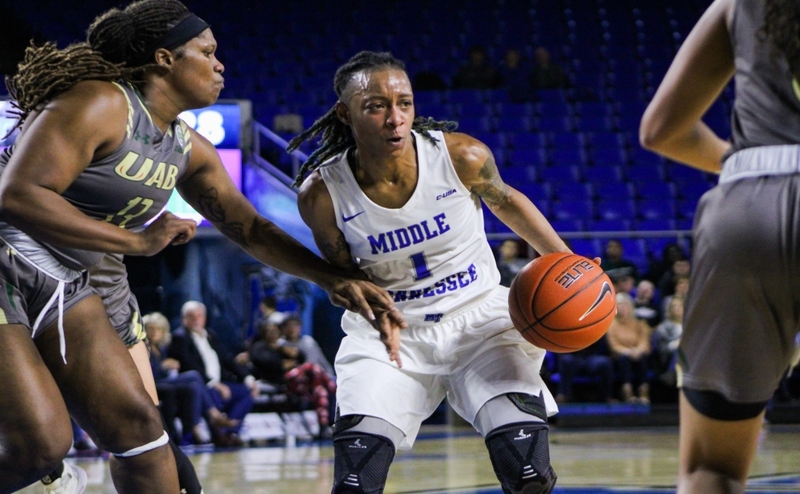 If the Lady Raiders can continue to get valuable points from Reuter inside the paint, along with Johnson, they have enormous potential to go far in the C-USA tournament next week. MTSU will stay in Florida to take on FAU in their final regular season game this Saturday. Tip-off against the Owls is set for 4 p.m. at FAU Arena. Next Who should you discover at Bonnaroo 2017?